Astronomy is the study of the sky, the science of cosmic objects and celestial happenings, and the investigation of the nature of the universe you live in. Professional astronomers carry out the business of astronomy by observing with telescopes that capture visible light from the stars or by tuning in to radio waves that come from space. They use backyard telescopes, huge observatory instruments, and satellites that orbit Earth collecting forms of light (such as ultraviolet radiation) that the atmosphere blocks from reaching the ground. They send up telescopes in sounding rockets (equipped with instruments for making high-altitude scientific observations) and on unmanned balloons. And they send some instruments into the solar system aboard deep-space probes. Professional astronomers study the Sun and the solar system, the Milky Way, and the universe beyond. They teach in universities, design satellites in government labs, and operate planetariums. Most have completed years of schooling to hold PhDs. Many of them study complex physics or work with automated, robotic telescopes that reach far beyond the night sky recognizable to our eyes. They may never have studied the constellations (groups of stars, such as Ursa Major, the Great Bear, named by ancient stargazers) that amateur or hobbyist astronomers first explore. 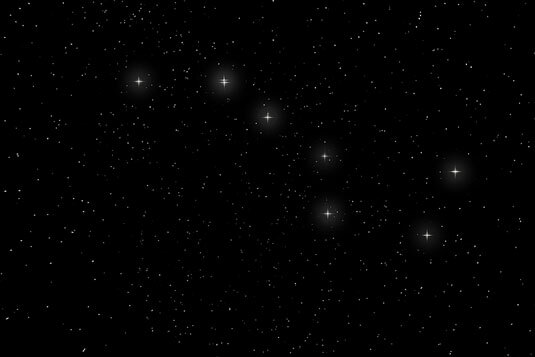 The Big Dipper, found in Ursa Major, is an asterism. In addition to the roughly 30,000 professional astronomers worldwide, several hundred thousand amateur astronomers enjoy watching the skies. Amateur astronomers usually know the constellations and use them as guideposts when exploring the sky by eye, with binoculars, and with telescopes. Many amateurs also make useful scientific contributions. They monitor the changing brightness of variable stars; discover asteroids, comets, and exploding stars; and crisscross Earth to catch the shadows cast as asteroids pass in front of bright stars (thereby helping astronomers map the asteroids’ shapes). They even join in professional research efforts with their home computers and smartphones through Citizen Science projects.